Versatile and practical, Jakar's brush tub is a great solution for storing and cleaning brushes during creative work. Designed as a multi-purpose tool, the brush tub comes with a lid, which handily converts into a palette. The lid can also be used for storage purposes, keeping contents safe and airtight. Jakar's Rectangular brush tub with integrated palette in lid is made with strong quality plastic. 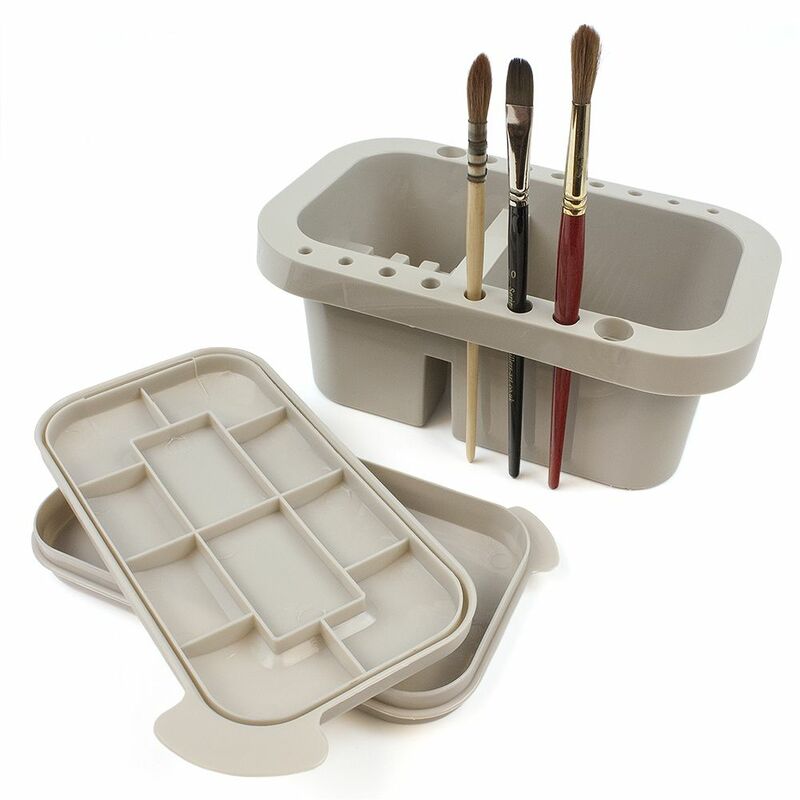 The brush pot includes 16 brush holders in assorted sizes – ideal for holding your brushes during and after painting. The reservoir includes one chamber with graduated ribs at the bottom of the chamber to facilitate easy and thorough brush cleaning. Graduated rests are built into the other chamber, allowing for brushes to be suspended in liquid without damaging the filaments. Most suitable for use with water-based media.